Deaf By Disco is the collective term for DJs Jess Hughes and Nick Wakefield. They play an innovative blend of disco, electronica and tech house. 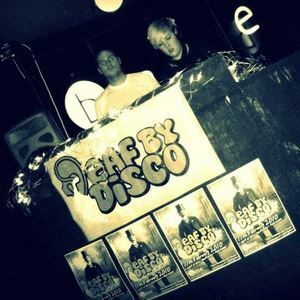 The 'Deaf By Disco' identity originates from their popular fortnightly residency in Bangor, North Wales. In 2011 they made their main stage festival debut at Glass Butter Beach and Bestival. Follow Nick (@deafbydisco) and Jess (@jessbydisco) on Twitter.